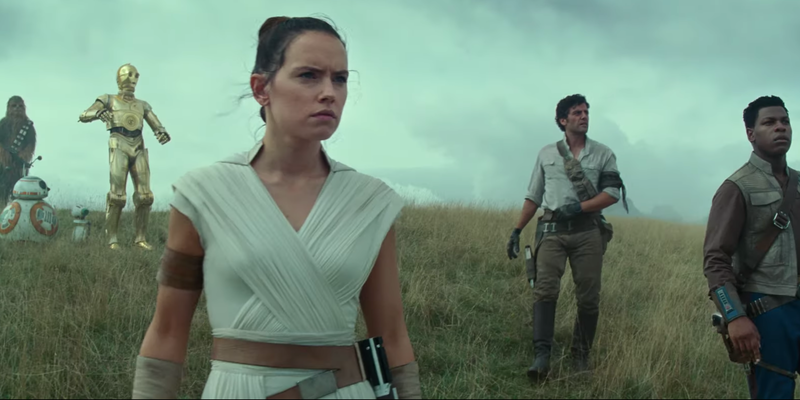 Disney and Lucasfilm debuted the first teaser trailer for the next “Star Wars” movie, Episode IX, at Star Wars Celebration on Friday in Chicago. The ninth film in the franchise, “The Rise of Skywalker,” will round out the saga that has revolved around Anakin and Luke Skywalker. Carrie Fisher, who died in 2016, will appear in the movie through unseen footage shot for “The Force Awakens.” She appears briefly in the trailer. It also includes a brief clip of Billy Dee Williams reprising his role of Lando Calrissian. Just after Luke’s voice says, “We’ll always be with you. No one’s ever really gone,” Emperor Palpatine can be heard laughing. The actor who largely played the villain, Ian McDiarmid, also appeared briefly at the event. “Star Wars: Episode IX” will be in theaters Friday, December 20, 2019. Watch the first teaser below.